Connect up to 15 devices using our 4G Internet Kit, an event WiFi rental solution ideal for exhibit booth connectivity. Our 4G Internet Kit rental is more reliable than a MiFi and less expensive than your convention center or hotel's comparable Internet solution. Our 4G Internet Kit contains everything you need to connect up to 15 devices to the Internet at any event. The broadband, commercial WiFi hotspot produces ideal bandwidth for surfing the web, checking email, and doing software demos. Setup is easy - simply plug and play in two minutes with our Quick Start Guide. 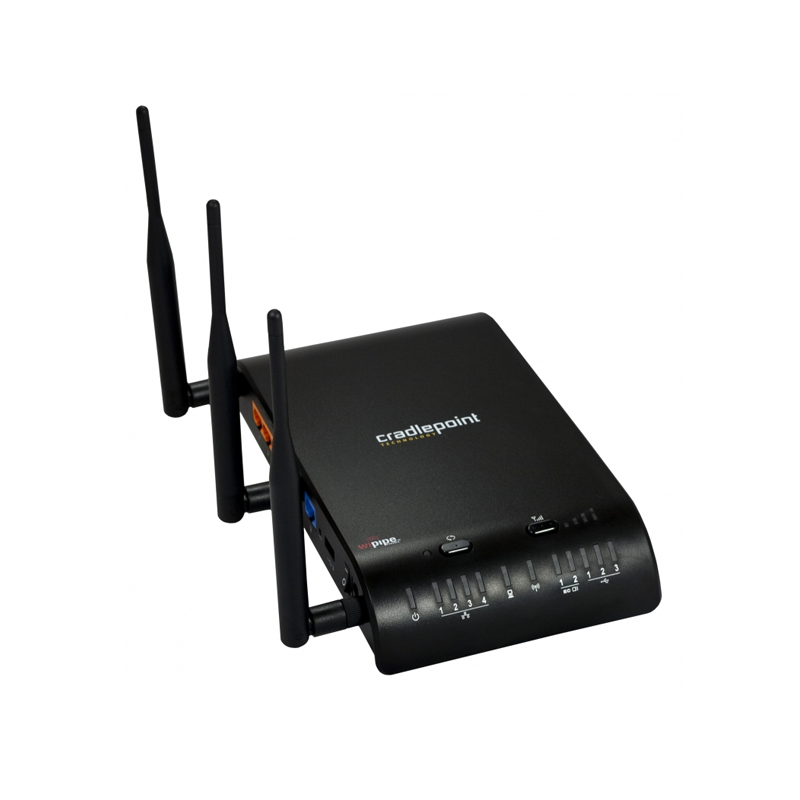 The rental Internet Kit provides wired and wireless (WiFi) Internet connectivity. No IT experience, software downloads, or special knowledge is required to set up our mobile WiFi Internet Kit. It’s never been so simple to rent event WiFi. We'll deliver your 4G Internet Kit to a local office or hotel via FedEx, one business day prior to your event. A prepaid FedEx Ground return label will be included in the package for convenient return of your temporary wireless Internet Kit rental. Our purpose-built temporary event WiFi rental is typically "short term", for three days of usage, but monthly packages are also available for your convenience during busy trade show seasons. You may also rent multiple kits if you have a large booth, session or office requiring more than 15 device connections (for temporary WiFi for up to 100 devices and very large booths, view our Mega Internet Kit here). 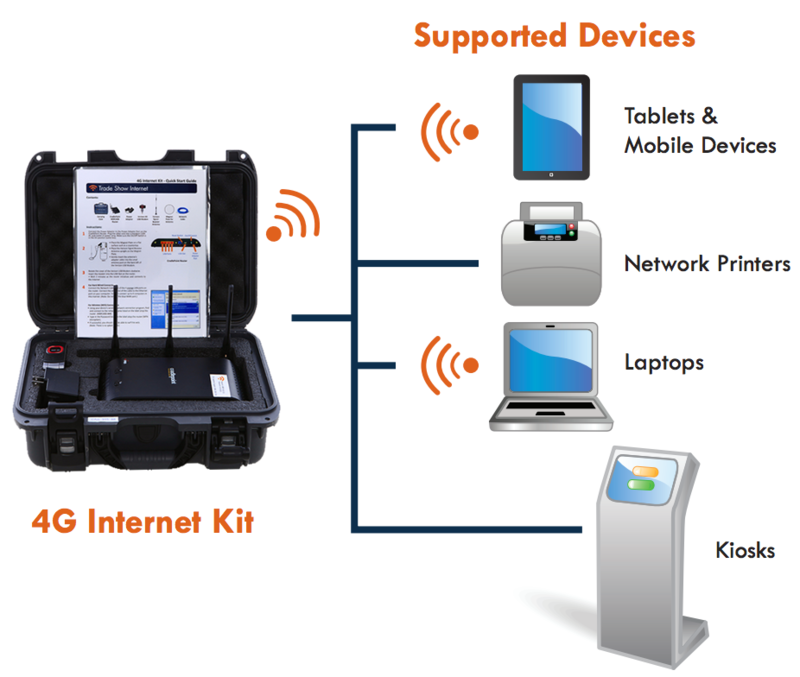 Our 4G Internet Kit is designed to be the ultimate portable WiFi solution for any event - large or small. 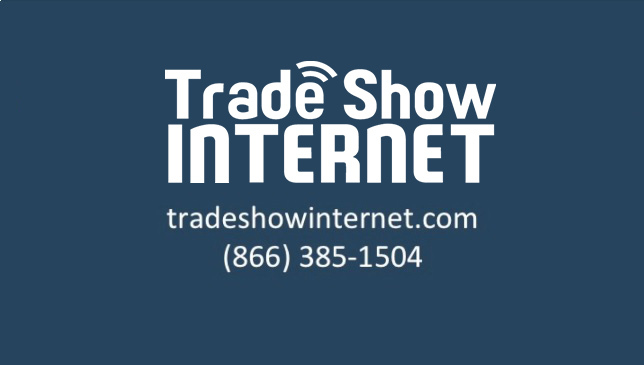 Trade Show Internet provides temporary Internet connectivity solutions for trade shows, conferences, corporate meetings and outdoor events. Our 4G Internet Kit contains everything you need to get up to 15 devices online at your event. The broadband WiFi hotspot produces ideal bandwidth for surfing the web, checking emails, and doing software demos. Check out our FAQ page for more information. No IT experience, venue permission, ethernet drops, or DSL/T1 lines are required. 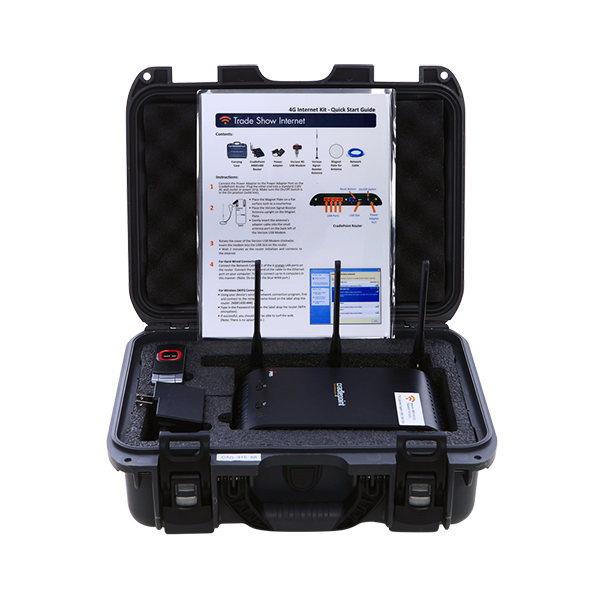 Your WiFi rental kit will be delivered to your local office or hotel via FedEx, one business day prior to your event. A pre-paid FedEx Ground return label will be included for convenient return of your temporary wireless 4G Internet Kit rental. Connectivity Conciergeservice with delivery, setup, and pick-up is available for an additional fee. TSI offers 24x7 telephone technical support and a 100% money back guarantee. Increasing visitor engagement, qualifying leads faster and seamless network communication are keys to a successful event. Download and read more information on our 4G Internet Kit below, or check out our FAQ page for more information. The easiest way to submit your order is through our secure shopping cart, but if you prefer to complete a PDF version of our order form you can download it here, complete and save it to your desktop, and then upload the PDF below.